Use it to have autocomplete only for chosen category/categories to avoid sending something precious to someone else. Alt names will be stored after entering game with them. Alts list now shown on SendMailFrame "OnShow"
if you want to keep it small comment or remove line 424 "OnMailShow()"
Re: How do You Move AtsMail Window? How do you move the AltsMail window that pops up when you open a mailbox? I have been unable to do so even with the addon MoveAnything (mainly due to the fact that I can't figure out what the window is called). It is the same window as ordinal mail. Try /framestack in chat to see frame's names. How do You Move AtsMail Window? Thanks for report Not noticed because I have TradeSkillDW addon also. Fixed in 2.02. 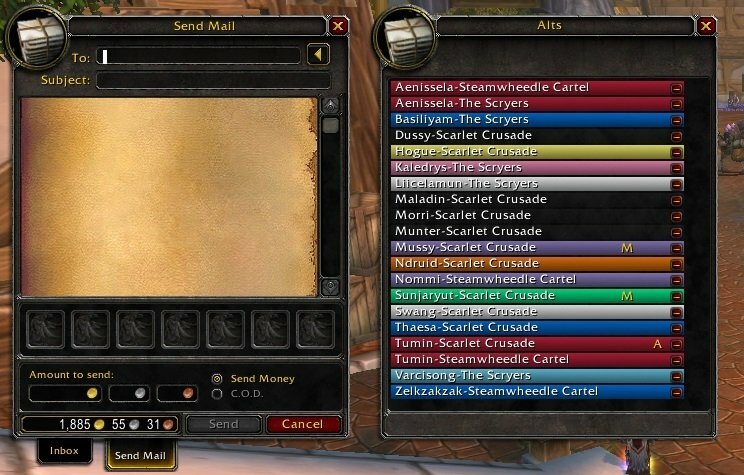 Love the alt filtering idea--I mail my alts a LOT more than I do guildies, so it's annoying when random guildie names keep popping up. 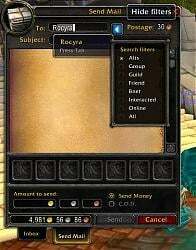 You can disable everything except alts to see only alts names (see screenshot). Last edited by Aisenfaire : 01-10-14 at 09:00 AM. I am a bit skeptical about "all in one" things and can't see anything from Postal features I really need (maybe reminder only). This one I made mostly for myself to not send thousands of gold to someone else instead of my alts (and "Alts" is only option I keep turned on in my UI). I have been using the add-on Postal for years now and even with support completely gone for it I have been updating the TOC file to keep it going for myself. With the zero support for postal now I have been looking for something to replace postal with. If there is any chance of this growing I want to keep my eye on it. This looks like part of the answer though. 5.4.2 and its changes have caused AltsMail to display an error when using. So, if the "alts" option is chosen, this will only allow the auto-complete to complete alt names? 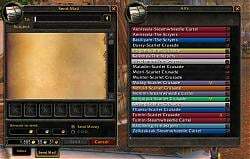 That why I did this addon - without that standard autocomplete show me whole guild names, started at same character (so I should type my alts names to the end), and even people who whispered or even players who I don't know. With this addon you can filter not only your alts, but guildies, friends etc by category. I've got several contacts, with names that begin with S.
Once or twice, I have accidentally auto-completed (and sent) to a a contact - when I wanted to auto-complete to an alt. Too tired, and completely my fault, I guess. An addon to stop that happening - which is what this seems to be - would be fantastic.